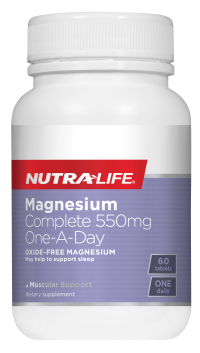 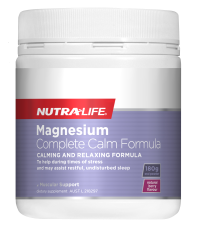 Nutra-Life Magnesium Complete Sleep Formula combines 2 forms of Magnesium: Magnesium (as amino chelate) and Marine Magnesium (as hydroxide) with sleep supporting herbal extracts: Griffonia simplicifolia seed, Ziziphus jujuba and Passion flower to help promote sleep. 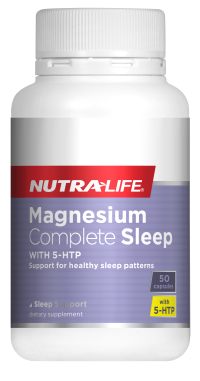 Warning: Contains 5-HTP which should not be taken with antidepressants, prescription sleep medicine or Parkinsons’ medication. 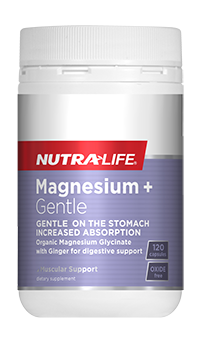 Always read the label, use only as directed. 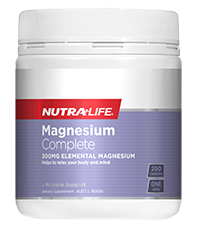 Mineral supplements should not replace a balanced diet.